Simple, easily quaffable, but only if you are up to that. Works well together with... (surprise, drum roll....) orange chocolate. Honest and easy drum with a sherry background. 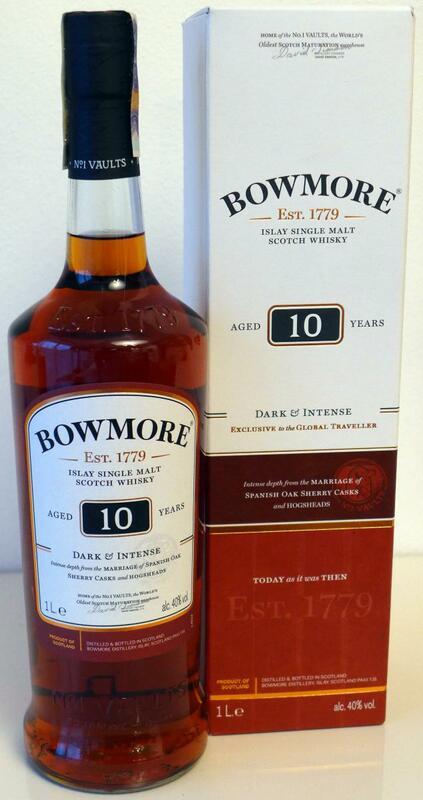 Sweet, nicely peated and gentle. 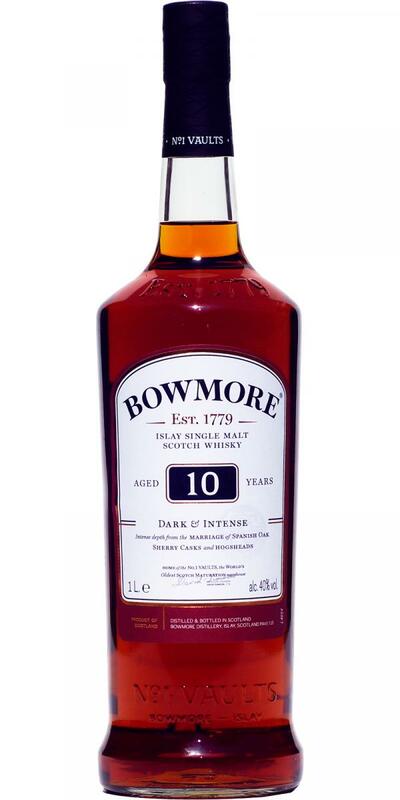 Maybe the fact to taste it at Bowmore dram bar I front of the sea on a sunny day contributed with some extra points. Aroma: iodine, seaweed thrown on the beach and dried in the sun, caramel, honey, decaying bonfire, sweetness of dates mixed with smoke, dried fruits, cardboard. Taste: honey, caramel with salt, dried fruits, smoked meats, bitterness from grapefruit and some delicate white pepper. Finish: sweet compote of dried fruit, ashen, slightly citrus peel, shorter than average. Bottom line: for the new DF line, a quite good initial level has been set, all the more, the age indication has pleased! Bouumo is not as extreme as its southern neighbors on the island, but it has its own recognizable face. The sherry influence here fit in quite well, added a certain zest, but some whisky is too simple, especially the taste and finish is a bit short. 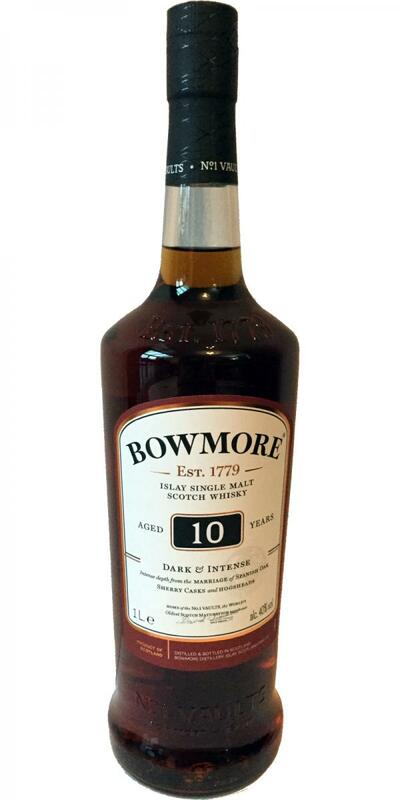 In general, a good base Islay molt, with sherry influence, for its price. He is good drinkable. It does not hurt anyone and actually does not do anything wrong. Not bad but not really exciting. The only 40% disturb stop. So rather one for the side. The right choice for today. In the beginning I smell mostly freshly mowed grass and a light smoke that comes around the corner. light smoke that is systematically stronger. I also try something dull, which in itself does not bother me. The influence of the sherry barrel can be tasted slightly. Furthermore, a little bit of orange and some dark chocolate. Especially the oak tones of the sherry show here, with little bitterness.